This overwintering purple cauliflower is another great crop for the hunger gap of late spring. When sown in June or July, it produces deep purple heads the following February through March. 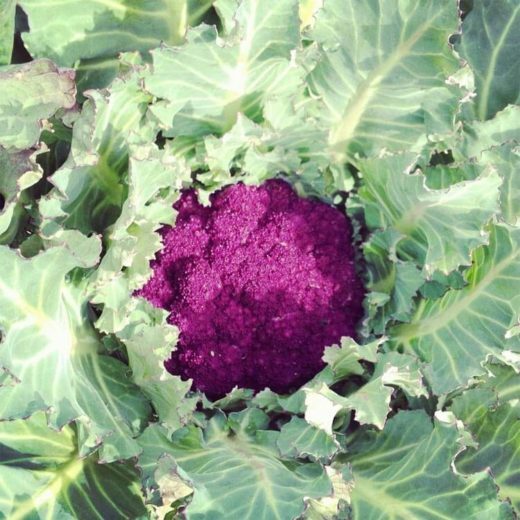 Produces much larger heads and more food than overwintering purple sprouting broccoli, and we are so happy to be able to offer it! Delicious and beautiful. 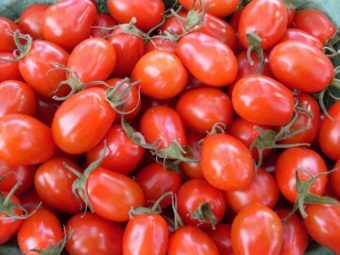 Hardy to zone 7, this extreme selection (5% survivors) made it through lows of 2°F in December 2013 and had further selection in the 2016 growing season. 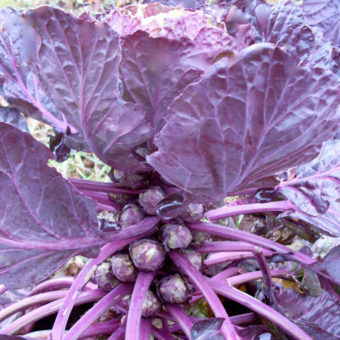 A staple of the Pitchfork & Crow winter CSA, winter CSA, Purple Cape seed has become hard to find in recent years. As required by the Oregon Department of Agriculture & the Washington Crucifer Quarantine, all Brassica family seed lots have been tested & found negative for blackleg (Phoma lingam) by an approved, certified lab. I planted seeds in mid-August. 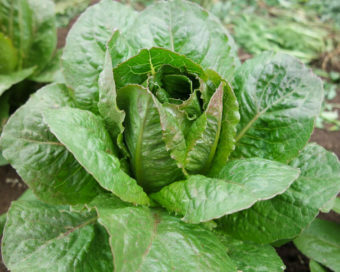 The plants did well through a colder winter than normal near Eugene. I only covered them when it got to 20 degrees or below….and during the crazy ice storm here! 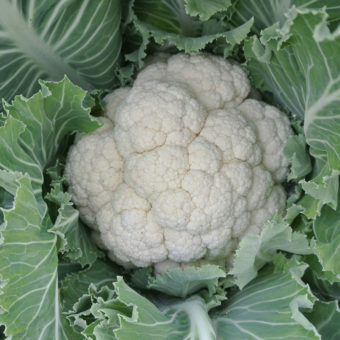 Cauli is developing nicely in late February. Should be ready to harvest by March and April. The purple is deepening right now….Gorgeous heads!